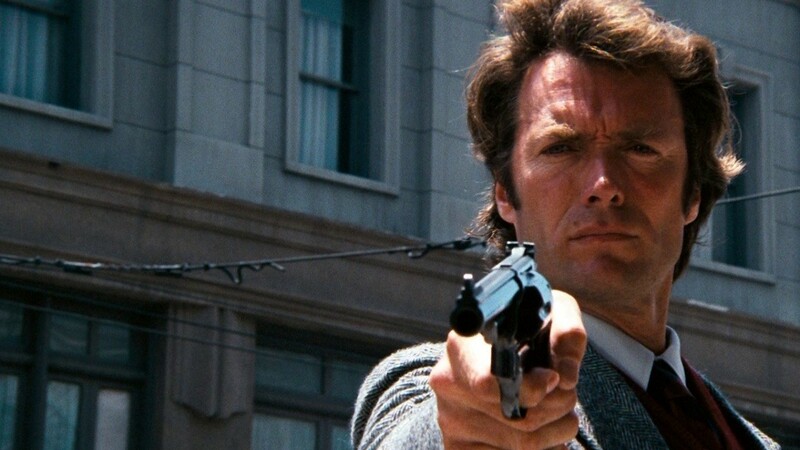 One of the weirder phenomena of early 21st century cinema has been the emergence of Clint Eastwood as would-be spokesman for various groups marginalized by the white male power structure his famed ’70’s character Dirty Harry once defended with a famously long phallic symbol. Million Dollar Baby (2004) concerned itself with issues of gender and power by telling the story of a female boxer. Gran Torino (2008) portrayed a community of immigrants from Laos in Detroit bearing scars from the US wars in Southeast Asia. Invictus (2009) portrayed the fall of apartheid in South Africa as a triumphant reconciliation mediated by the symbolic friendship formed by Nelson Madela and the captain of the white majority national rugby team. Finally, J. Edgar (2011) addressed gay issues by looking at the closeted sexuality of J. Edgar Hoover, and the dissolution of his relationship with a male colleague at the FBI. This is the first in a series of posts that look at how each of these films define their respective issues in ways relax the grip of straight white male power while maintaining its hold on the top spot of the social hierarchy. They celebrate the retention of traditional power amidst the changes brought about by the mainstream diversity movement that has become the norm in mainstream US institutions from ESPN to the White House. They embrace women, gays and lesbians, African-Americans and Asians while wrapping their arms around them in a hold that limits their movements in a disguised gesture of friendly coercion This makes them an interesting microcosm of US culture at this historical juncture. This post will focus on the original Dirty Harry films, the character with which Eastwood is most identified as an actor. The public’s identification of Eastwood with Harry is an important part of how Invictus, Grand Torino, Million Dollar Baby, and J. Edgar were received. It was as if the former detective was reevaluating these others by looking at them through a movie camera rather than through the sights of a handgun’s barrel. Eastwood is a politically ambiguous figure who cannot simply be categorized as a right wing ideologue like Charlton Heston or John Wayne. It would be hard to imagine someone like Bruce Willis receiving the kind of praise that Eastwood has received from mainstream liberal rags like The New York Times and The New Yorker. He’s described himself as a social liberal and a fiscal conservative, which makes him a figure not so much of the Republican right as the neoliberal consensus that emerged after the tussles of the ’60’s and ’70’s over what America would look like in the wake of the rise of the counterculture. (Although his opposition to the wars in Korea, Vietnam, Afghanistan and Iraq sets him apart from the bipartisan consensus on the war machine that has dominated Washington for many years.) He’s enlisted actors publicly identified as liberals to star in Invictus, (Matt Damon,) J. Edgar, (Leonardo DiCaprio,) and Mystic River, (Sean Penn and Tim Robbins.) All of these actors speak glowingly of their admiration for him as a director, especially Damon, who I once heard on my car radio breathlessly praising Eastwood during an interview with, of course, Terry Gross of Fresh Air. On a personal level, I find Eastwood’s style appealing, which I would never say of Wayne, Willis, etc. I often catch an echo of his slight scowl in my own facial mannerisms. Indie theaters like The Carolina Theater here in Durham have screened the original Dirty Harry and featured the black and white photo at right in their program catalog, prompting praise of Eastwood’s style in the film from local hipsters on Facebook. That chaos was, of course, of a distinctly political nature. The opening of the original Dirty Harry film of 1971 featured Callahan pointing his soon-to-be-iconic .44 Magnum at stylish black bank robbers that evoked Marvin Van Peeble’s Sweet Sweetback’s Baadasssss Song and the Black Panther Party. The rest of the plot centers around Eastwood’s pursuit of white serial killer named Scorpio whose long hair and attire made him look like an uglier version of Tim Buckley, evoking the hippy culture that was limping towards its demise as a new decade started to come into focus. In the Harry-covered book The Dream Life: Movies, Media, and the Mythology of the Sixties. critic J. Hoberman argues that the killer’s post-college diction is meant to evoke campus radicals at a time when veteran cops were protesting on Capitol Hill against groups like the ACLU and the liberal Warren Court that gave legal protection to cultural and political insurrection. The film declared its allegiance to the police by opening with the display of a list of slain San Francisco policemen, and by staging its premier as a benefit for the San Francisco Police Activities League. (This red white and blue position notwithstanding, Hoberman writes that Dirty Harry was the film most screened by Brezhnev and the Soviet Politburo, an irony that fits with Reagan’s frequent screening of Warren Beatty’s film Reds at the White House.) Hoberman also tells us that the largest mass arrest of demonstrators took place in Washington a few weeks into the shoot of the film: 7,000 antiwar protestors and bystanders were held in the Washington Coliseum and at RFK Stadium. Eastwood, his “persona emerging from the Great Society’s rubble at the twilight of liberalism,” was a fitting silver screen sidekick for such political theater. The films were set in the Bay Area, which of course was the epicenter of the Black Panther Party and hippy cultures of both the Haight-Ashbury flower-power and Berkeley radical left variety. Eastwood was behind this choice of location, advocating for a change from the script’s original location in New York. Paul Newman had recommended Eastwood to the film’s producers after turning down the part himself because he did not want to be associated with its right wing stance. He told the studios that Eastwood would be a more politically sympathetic to the script. Eastwood’s decision to choose the wild western hippie frontier as his High Noon battleground of choice proved Newman was right. 1971 continued in this vein as the film went into production. George Jackson was killed while attempting to escape San Quentin, and the Weather Underground reacted by bombing the San Francisco Department of Correction. A month later, 1,200 inmates staged an insurrection at Attica in upstate New York. Governor Nelson Rockefeller called in the National Guard, who retook the prison in a showdown that killed 32 prisoners and 10 hostages. The Weather Underground responded with a bomb again, this time at the Department of Corrections in Albany. The ACLU responded to the film by writing that it only got down to its main point when the DA tells Harry, “Does Escobedo ring a bell? Miranda? Ever hear of the Fourth Amendment?” Harry subsequently hears from a Berkeley law professor that Scorpio’s rights were violated not only under the Fourth Amendment, but by the Fifth, Sixth and probably the Fourteenth Amendment as well. Perhaps outsourcing his obsession with her criticism, the DVD extra’s director made the bizarre decision to have an actress portray Kael as a hulking figure lumbering around the typewriter in her apartment without showing her face to the camera. The headless and plump figure in the short commits the offense of being a woman who is not slim and attractive, perhaps reinforcing Clint’s theory of the reason for her disdain. These shots of the Headless Critic are interspersed with head shots of Eastwood doing his interview. I was left with the impression that the specter of Kael hangs over the actor/director to this day, even from beyond her grave. Back in 1973, the sequel to Dirty Harry, Magnum Force, appeared to respond to criticism that saw Dirty Harry as a right wing vigilante film. Gone were the counterculture criminals. The second installment pitted Harry against a crew of four virtually indistinguishable rookie vigilante motorcycle cops, (one of whom is named John Davis.) Their plasticity seemed to make them stage props designed to allow Harry rebut his critics. The film closes with the line “A man’s got to know his limitations,” as the last of the rookies gone wrong sinks into the Bay. The distinction is ambiguous, however: the rookies kick off the film with the assassination of a mob figure acquitted on the kind of technicality that drove Harry to defy the mayor’s orders not to pursue Scorpio in the first film. Perhaps the difference rests on the fact that none of the criminals targeted by the young whimper snappers are hippies or Panthers. As the plot thickens, the rookies come off as proteges gone wrong in the eyes of their role model. “You’re a great cop, Harry, you had a chance to join the team but you’d rather stick with the system” their leader tells Harry. Callahan responds, “Briggs, I hate the goddamn system, but until someone comes along with some changes that make sense I’ll stick with it.” In a Freudian gesture, the rookie tells the veteran, “You’re about to become extinct. Get off at the next exit.” The entire exchange reminded me of the disdain that Jack Kerouac spewed at Ed Sanders of The Fugs during a television interview with William F. Buckley on The Firing Line in 1968. Having reinforced Eastwood’s flank by refuting the critics, the third Dirty Harry film, The Enforcer (1976), returned to the eradication of murderous fringe hippies. It centers around Harry’s pursuit of the People’s Revolutionary Strike Force, who steal military grade rifles and rocket launchers and subsequently kidnap the mayor of San Francisco. The plot was inspired by the story of the Bay Area radical group known as the Symbionese Liberation Army. The SLA had become famous for kidnapping and brainwashing San Francisco heiress Patty Hearst in 1974, a year after the release of Magnum Force. Hearst was soon photographed by security cameras participating in the group’s 1974 robbery of a San Francisco bank, a crime reminiscent of the bank robbery scene that opens the first Dirty Harry film. The SLA had been founded by an escapee from Soledad Prison in Marin County, where George Jackson had been a prisoner. But their leader was the only African-American member of the group, and the SLA had nothing like the Panthers’ level of support in the black community – especially not after they assassinated Marcus Foster, a popular reform-minded black Superintendent of Oakland’s public schools, in 1973. Nevertheless, the film’s screenwriters based some of the black militant characters on the Black Panthers, perhaps in an effort to further the FBI’s efforts to tarnish the Panther’s reputation in the eyes of the public under Hoover’s direction. The writers’ allusion to the Panthers was made clear when they pitched the film to Eastwood, and it helped persuade him to take on the project. It might seem odd for a man whose career continues to be obsessed with themes of revenge as a form of retributive justice would seek to discredit a group like the Panthers that advocated armed self defense in the face of the uninterrupted attacks that have been perpetrated against African-Americans in this country. But as Eastwood showed more than thirty years later with his film Invictus, he stops short of allowing blacks the kind of retributive justice he allows whites, such as the subject of his current film American Sniper, to indulge in. But Invictus deals with more than Eastwood’s traditional theme of ballistic vengeance. What makes it such an interesting movie is the way in which it celebrates the fateful decision of Mandela and the ANC not to undertake the path of economic retribution after the fall of apartheid. Equally interesting was the failure of liberals to take note of this celebration as they rushed to praise the film in the wake of its release. The next installment will focus on how recent developments in South African politics have made this aspect of the film harder to ignore. 18 Feb	This entry was published on February 18, 2015 at 3:57 am. It’s filed under Dirty Harry Does Diversity, Film, History, Series of posts, Uncategorized and tagged ANC, Angela Y. Davis, Berkeley CA, Black Panther Party, Brezhnev, Clint Eastwood, Dirty Harry, Ed Sanders, Films, Gran Torino, Invictus, J. Edgar, J. Hoberman, Jack Kerouac, John Wayne, Magnum Force, Million Dollar Baby, Nelson Mandela, Other John Davises, Pauline Kael, People's Park Protest, Politics, Race, Reds, Roger Ebert, Ronald Reagan, The Enforcer, The Ex, The New York Times, The New Yorker, Tim Buckley, Too Many Cowboys, Warren Beatty, William F. Buckley. Bookmark the permalink. Follow any comments here with the RSS feed for this post. Older: Monsanto in the Classroom?